Home » Copyright , Intellectual property » Marvin Gaye v. Robin Thicke: How Blurred Are The Lines In This Copyright Suit? 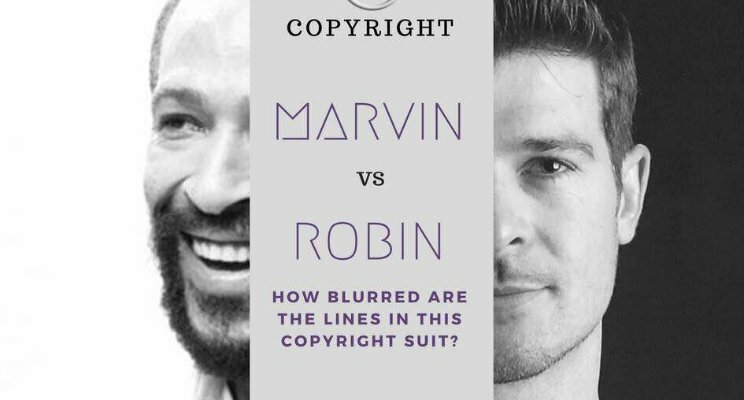 Marvin Gaye v. Robin Thicke: How Blurred Are The Lines In This Copyright Suit? On 6th October 2017, Robin Thicke and Pharrell Williams filed an appeal at the United States Court of Appeals for the Ninth Circuit against the decision of the District Court for the Central District of California (District Court) which decided that they had infringed Marvin Gaye’s copyright in the song “Blurred Lines”. As the legal fireworks in the appeal commences, we have decided to examine the issues surrounding this copyright infringement suit and explain its importance to the intellectual property community. The song “Blurred Lines” was released in 2013 by Robin Thicke and featured fellow musicians, Pharrell Williams and Clifford Harris (also known as T.I). It was a huge hit when it was released, ruling the airwaves for over a year. In the United States (US), the song debuted at No. 94 on the Billboard Hot 100 charts. However, by June 12, 2013, “Blurred Lines” was No. 1 on the charts and had sold over 1 million copies in the US. “Blurred Lines” later peaked at No. 1 in 25 countries, including the United Kingdom (UK) and the US. The song was so successful that it was certified quadruple platinum in Australia and triple platinum in New Zealand. In Canada, the song was the No. 1 song for 13 consecutive weeks. It became the longest-running No. 1 single of 2013 and was Canada's best-selling song of 2013. In the US, it sold over 5 million copies in just 22 weeks and 6 million in 29 weeks thereby becoming the fastest selling song in digital history. By April 2014, the Blurred Lines” single had reached the 7 million mark in sales and by April 2015, it had sold 7,380,000 copies in the US, making it the eighth all-time best-selling digital single. According to the International Federation of the Phonographic Industry (IFPI), the song had sold 14.8 million copies by the end of 2013, becoming the best selling song of the year worldwide and one of the best selling songs of all times. It broke the record for the largest radio audience in history and is currently the seventh best-selling digital single of all time. It was the second best-selling song of 2013 in the US and the best-selling song of 2013 in the UK. Subsequently, it was nominated for two Grammys at the 56th Annual Grammy Awards in the Record of the Year and Best Pop Duo/Group Performance categories. It is estimated that a total of $16,675,690 was realized in profits for "Blurred Lines." Subsequently, $5,658,214 went to Robin Thicke, $5,153,457 was made by Pharrell Williams and $704,774 went to T.I. The record companies (Interscope, UMG Distribution and Star Trak Entertainment) took the rest of the profits with an executive at Universal Music Group stating that overhead costs on the creation of "Blurred Lines" amounted to $6,900,000. In a May 6 2013 interview with GQ Magazine, Robin Thicke claimed that he wrote the song along with Pharrell Williams. He stated that he was in the studio with Pharrell Williams and he informed Pharrell Williams that Marvin Gaye’s “Got to Give It Up” was one of his favourite songs.. His statement inspired Pharrell Williams who started playing something with a similar tune as the Marvin Gaye song and both artists supposedly wrote “Blurred Lines” in about half an hour and subsequently recorded it. Clearly, Robin Thicke had a hit on his hands. However, unknown to him, the storms were beginning to gather as the Estate of the late Marvin Gaye had heard the “Blurred Lines” song and would soon commence an action that in my opinion, could affect our perception of copyright protection. The legendary Marvin Gaye is reputed to be one of the greatest soul singers.. He penned several songs such as “Sexual Healing” and “What’s Going On”. He wrote a smash hit titled “Got To Give It Up” in 1977. It was released under Motown Records (now a subdivision of Universal Records). Marvin Gaye died in 1984 leaving the copyright to his collection of songs to his children. After reading several interviews which Robin Thicke gave to the press, the Mavin Gaye family started to insist that Robin Thicke had infringed on Marvin Gaye’s copyright by sampling some portions of “Got to Give it Up”. Robin Thicke did not take too kindly to these accusations and he proceeded to file a suit against the Estate of Marvin Gaye at the District Court in August 2013. He was not seeking monetary reliefs but sought a declaration from the court to determine if the composers of “Blurred Lines” can be held liable for copyright infringement on the basis that they were influenced by Marvin Gaye’s song, but did not actually sample such prior works or literally copy any of Marvin Gaye’s music or lyrics. Put differently, could they be deemed liable for copyright infringement if all they did was evoke an era and the “feel” of Marvin Gaye’s music? Marvin Gaye’s family took the bait and counter-sued in April 2014, claiming that they were entitled to damages as “Blurred Lines” infringed on Marvin Gaye’s copyright. In addition to Robin Thicke, the producer and co-writer Pharrell Williams, guest rapper T.I. and Universal Records were also joined in the suit. In a shocking twist during the trial, Robin Thicke informed the jury that he did not compose “Blurred Lines” as he claimed he was drunk and high on alcohol and vicodine when he recorded the song. He also claimed that he was inebriated when he gave the GQ Magazine interview and other interviews where he claimed authorship of the song. 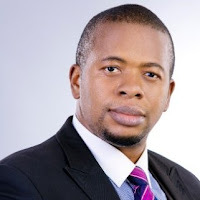 He also informed the court that he did not consider himself an honest person. On his part, Pharrell Williams asserted that he wrote the song and that although he drew influences from Marvin Gaye, he intended to replicate the “vibe feeling” of the genre. He stated that there was no intention to rip off Marvin Gaye’s song. In the second part of this series, we will consider the arguments that were raised by both parties to the lawsuit and examine the decision reached by the jury at the close of the arguments. This will be considered in line with the position of the copyright laws to determine if the eventual decision reached by the jury was proper in law.